We play in the banquet room at the back of Maplewood Lanes Bowling Center in Saline. Entry fee is $3. Bring quarters for the Euchre pots. Dana Arning hosts this event. So, technically this is not actually a picture from our Euchre Night because we apparently don't have any! 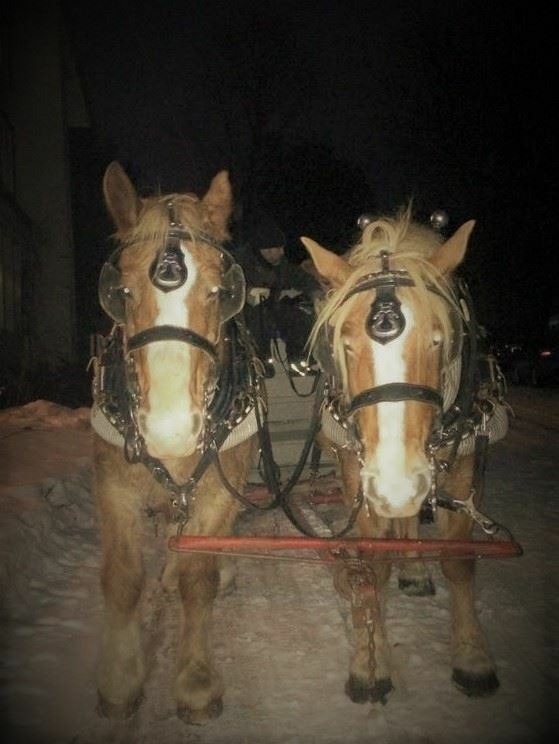 These horses pulled a sleigh in Petoskey. Their names are Larry and Roberta Bower.